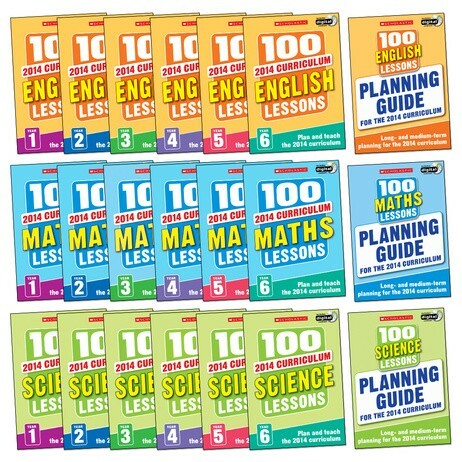 Master 2014 National Curriculum easily with brand new editions of this series from Scholastic. Master the 2014 National Curriculum quickly and easily with brand new editions of this million-selling series from Scholastic. Packed with practical and time-saving resources, these essential lesson plans and planning guides help you deliver structured teaching in line with the new curriculum. Each100 Lessons book brings you a whole year of inspirational ready-made lessons fully matched to the new curriculum – ideal for use as a complete teaching plan for the year or as a flexible filler. An accompanying CD-ROM is packed with interactive activities and photocopiable resources. In addition, the 100 Lessons Planning Guides are ideal for subject coordinators. Carefully matched to the new objectives, each planning guide gives you everything you need to plan your teaching right through Years 1-6. From a series tried and trusted by thousands of teachers for over fifteen years, this is the quick, easy and reliable way to stay ahead through changing times.